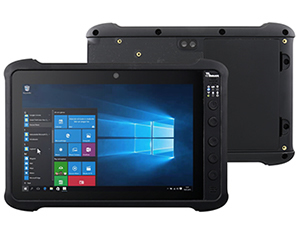 Winmate introduces the newest addition to its extensive range of rugged tablet products with the M900P, a new compact 8-inch rugged tablet designed for mobile rugged use. This new 8-inch model helps fulfill the needs of those that want maximum portability and ease of carry with no compromises for their application use. This Windows 10-based device comes equipped with an Intel® Pentium® N4200 Apollo Lake processor and genuine Intel graphics for high processing performance, low power consumption and extended battery life. Its brilliant 1280 x 800 display features a projected capacitive touch screen with optical bonding and allows for outdoor viewability. Built for operations in harsh industrial environments, the device is MIL-STD-810G certified, and its lightweight (2.2 pounds, approx. 900grams) yet rugged design features a wide operating temperature range (-20~ 60°C), IP65 rated water and dust proof enclosure, and 5 feet drop tolerance. Communication options such as GPS, WiFi, Bluetooth 5.0 and optional 4G LTE enable records to be updated in real time, ensuring the most up-to-date information is always available. 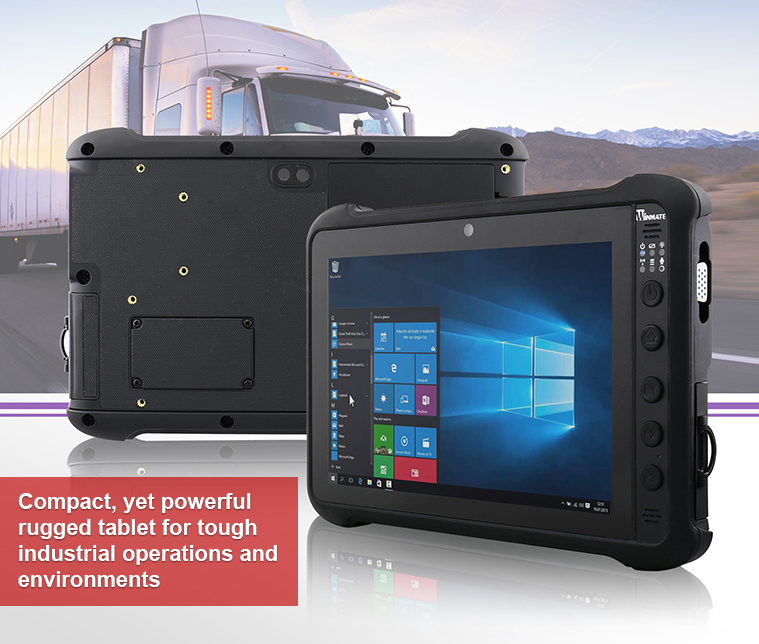 With user configurable data capturing options such as built-in Barcode or RFID readers, and an optional smart card reader module, the M900P rugged tablet is crafted to suit any user specific requirements in field service, warehousing, or transportation use. For a transportation and in-vehicle based solution, the M900P comes with a built-in DB15 interface connector that will enable the device to be connected to Winmate’s Vehicle Gateway, which is able to read vehicle data for more powerful information integration. 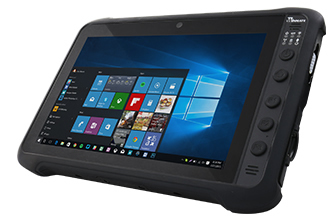 For more details and questions on Winmate’s full range of rugged tablets, feel free to contact us for more information.